Sai Mandir Namchi : Small but beautiful Sikkim is blessed with an outstanding Sri Shridi Sai Baba Temple situated is Assanthang, a couple of kilometers away from the district headquarters of Namchi. The temple is a religious and pilgrimage center dedicated to the people of Sikkim by the honorable Chief Minister, Dr. Pawan Chamling. It is a two storied building displaying the modern architecture; the ground floor accommodates devotees for singing hymns in praise of Shridi Baba and the first floor provides dwelling to the marble statue of Sri Shridi Sai Baba and ten other beautiful paintings of Lord Vishnu (Hindu God) in ten different incarnations. The temple is surrounded by a beautiful garden from where one could get a panoramic view of Mt. Khangchendzonga. 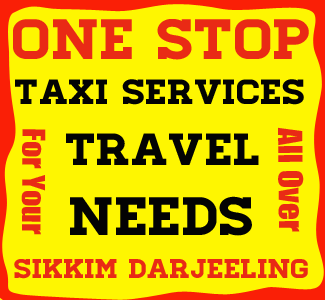 Tourists can reach Sai Mandir Namchi easily from NJP Rail Station or Bagdogra Airport or Siliguri Town or Darjeeling or Gangtok. NJP to Sai Mandir : 136 kms. Bagdogra to Sai Mandir : 140 kms. Darjeeling to Sai Mandir : 72 kms. Due to its advantageous location, many hotels and lodges have come up in and around Sai Mandir catering to varied tastes and budgets. Indian : Indian tourists visiting Sai Mandir Namchi do not require permit to visit.